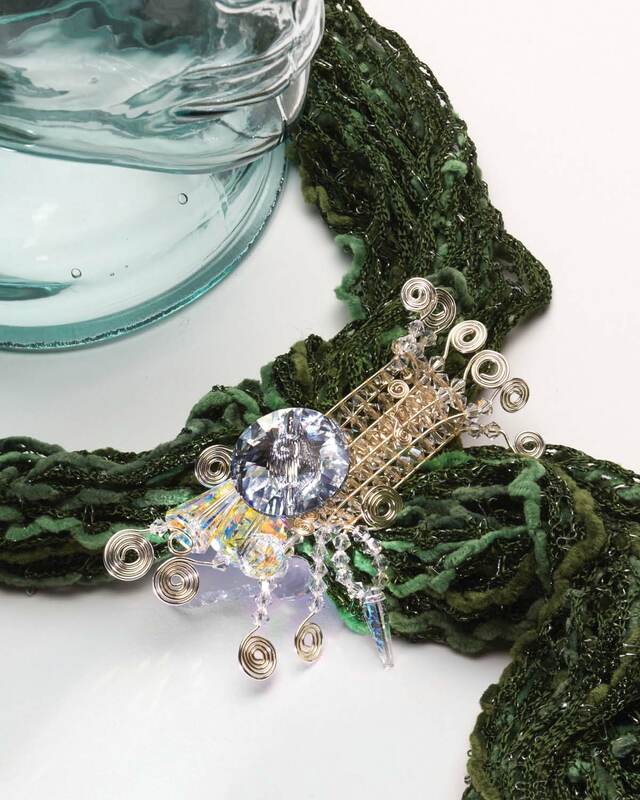 Have you thought of adding loom work to your beading repertoire this year? Perhaps you feared that it would be too expensive to get a loom, or that it was too big a commitment and would take up too much space. No more excuses! 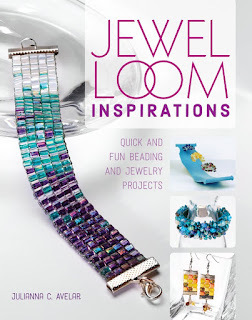 Julianna Avelar is the creator of the Jewel Loom, which I've found listed online for about $11 to $12. It's portable, flexible, and easy to set up and use, and now Julianna has written a book called Jewel Loom Inspirations, published by Fons + Porter, to help you through the learning curve. Julianna starts with the basics: what sizes and shapes of beads work best in loom work, the best stringing materials, adhesives, findings, and other tools. You will probably not have to add many materials or tools, other than the loom itself, if you've been beading for awhile. The next section shows you how to set up the loom and string the warp threads. Hint, hint...it looks pretty easy to do. Then you will learn how to weave a simple base and finish it off. From there...the projects! Seventeen beautiful projects show you the versatility of the loom. Though it's small, it is perfect for creating bracelets, earrings, rings, and even necklaces. You'll create a base first, and then have fun embellishing while the loom keeps your work flat and secure. Here's one of my favorite pieces from the book. Just in case you thought you'd be limited to thread, check out this wire beauty that is found on p 94 with full instructions! Sadly, my loom is collecting dust while my brain is in kumihimo mode! That little wire focal is absolutely adorable! Spark plugs, quilts, and I'm drowning in "stuff"!